Like the ‘Believe’ and European Cup mosaics of the past two semi-finals and last year’s final, United fans in Rome will be creating a mosaic which reads ‘for Sir Matt’. 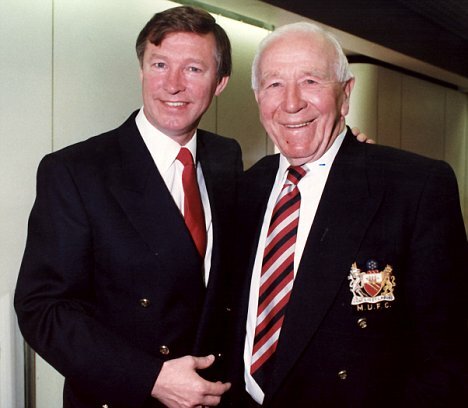 Sir Matt Busby would have been 90 on the day we won the European Cup back in 1999 and the eve of this year’s final will mark what would have been his 100th birthday. Sir Matt’s son, Sandy, has also responded to the plan and reckons his dad would be dead chuffed. 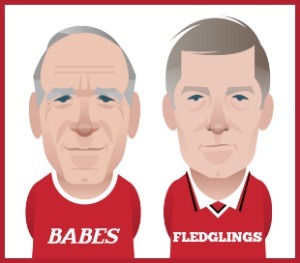 Don’t forget about our Sir Matt Busby t-shirt competition. The BELIEVE mosaic at Old Trafford against Barca last year still brings a chill down my spine. It was so surreal! Sir Matt Busby will be a proud man today. 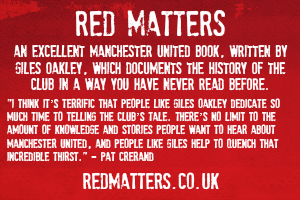 Its his club and his footballing philosophy that Sir Alex has carried on to the next level. Stretford End Flags approached the club with the idea and we argued it would be more fitting than using Believe again (Believe was SEF's idea for last season). Utd aproved the idea and have even funded the whole mosaic, meaning SEF can use funds for new banners for next season. We hope this will look superb and thatit will be a fitting tribute to the great man. 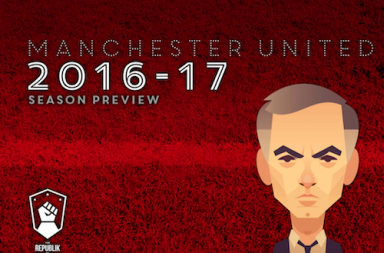 All details including the icture used above can be found on the SEF website and we welcome your ideas for a new banner for next season. and to think that last time tony something said we're a club without values !!! It is going to be something truly special- lets hope we can win it for Sir Matt. fantastic idea, I have to agree the"BELIVE" mosaic really gave me the chills I cant wait to see SIR MATT mosaic it should be magic, .....P.S Hello TONY I knew it was u when u commented in Spanish. By the way how is it over in Barcelona??? Absolute Class God bless him. What a beautiful mosaic. Let's win it for the great man. This is just wonderful and it will mean so much to those of my generation and older, and can you imagine what it will mean to Sir Bobby? For the younger players, and supporters , this should deepen their sense of history and how it's woven into the fabric of the club. It's about more than just a name, but what Sir Matt represented, a vision of what expressiveness, creativity and passion can mean in people's lives, an outlet for emotion and commitment to a collective ideal, and a bringing together of the highest individual talents to create something larger than the whole. It's brilliant that Fergie and the Club have responded so positively. I can't wait to see it, knowing that all over the world commentators will be explaining just who Sir Matt Busby was, and what he represents.The legend will live on. Magic. Brilliant idea,let's hope we can give him a birthday present to remember on Wednesday. Following the semi final win over Arsenal, Stretford End Flags (SEF) approached Manchester United with the idea of a paying tribute to Sir Matt Busby and SEF designed a mosaic that we considered fitting to the great man. The eve of the Champions League final (26th May) would have marked the 100th anniversary of the birth of Matt Busby, who became manager of Manchester United in 1945 and was seen by many as the architect of the modern Manchester United. We will celebrate his memory with our 16,000-sheet mosaic showing his portrait and the words ‘FOR SIR MATT’. The mosaic will be raised as the teams emerge from the tunnel and SEF hope that the mosaic will inspire the team, lift our fans here and back home, and will be seen by the hundreds of millions watching this game across the world. The design of the mosaic was constructed from ideas submitted by SEF members on our flag forum. 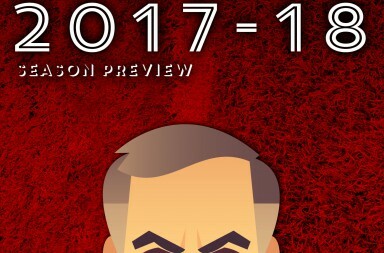 Manchester United are funding the production of this mosaic and SEF would like to thank MUFC in supporting our idea, allowing SEF to divert funding towards new banners, tifo's and future projects. 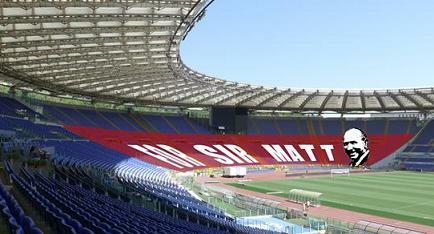 SEF have supplied a team of volunteers who will be in Rome on the Tuesday and Wednesday laying out the mosaic. Stretford End Flags is an independent fans group aimed at improving the atmopshere and colour within Old Trafford, whilst we are predominantly focused on providing banners for the front of the Stretford End, we also look to implement other fans initiatives. 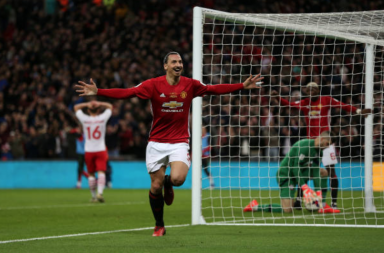 In order to achieve our goals, we encourage involvement from all Manchester United supporters, be this through submission of banner ideas or financial contributions towards new banners. We are already seeking designs for a new Stretford End banner for the start of next season.